It is time for the final battle. 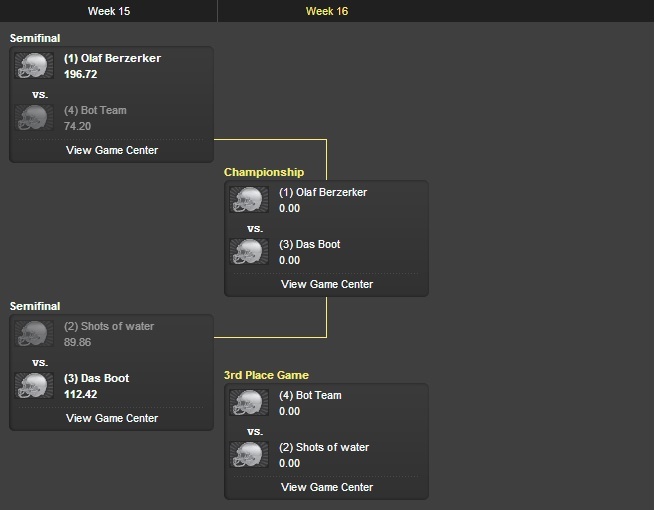 Olaf Berzerker (me) and Das Boot (Shawn) are playing in the finals. Who will be victorious? I also have this playing in my head every week.